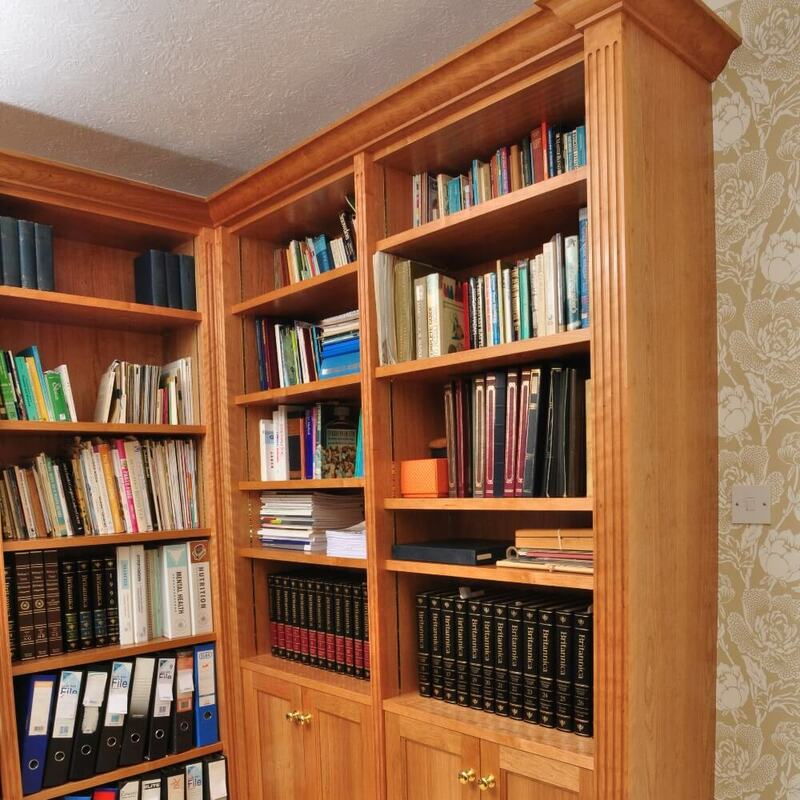 Handcrafted bookcase and a display unit for the home study. Made from American Cherry wood. Traditional polished brass door knobs. 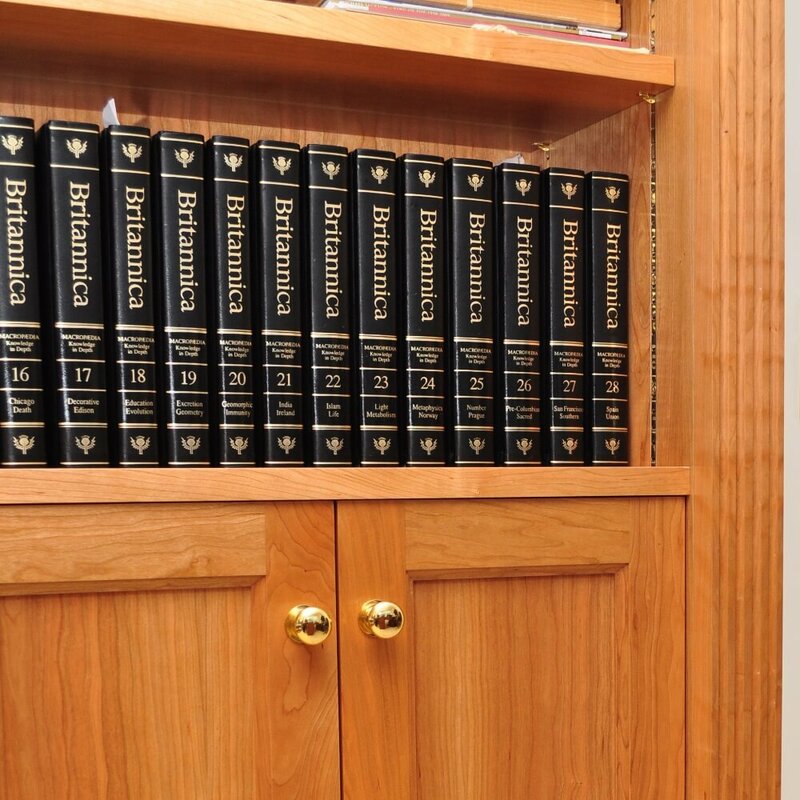 Handcrafted furniture is a perfect solution for a more traditional or classic style of study, home office or library room. You can choose from a variety of solid timbers to match existing wooden interior features or to remain in keeping with a period property. Bespoke furniture can also be made to fit awkward angles or an irregular shaped room. 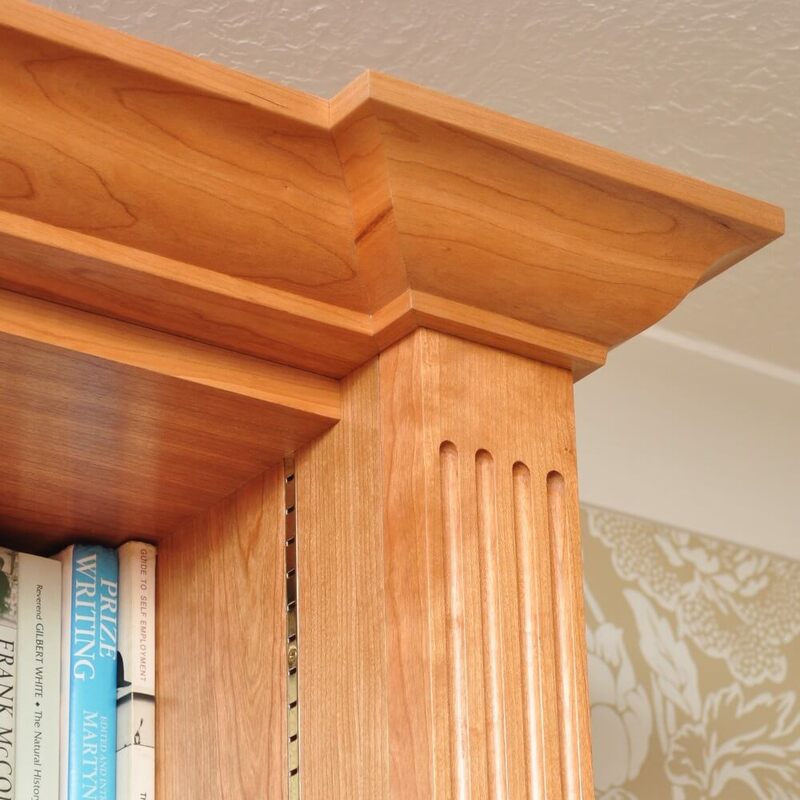 Our motto is anything is possible, whether it is making a bookcase to fit within a recess and or creating a desk to fit under a staircase, we have the skill and imagination to produce stunning results.